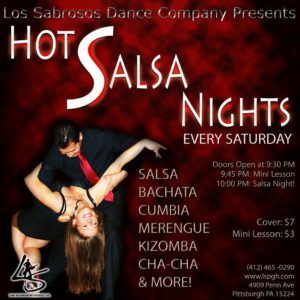 Hot Salsa Nights – Los Sabrosos Dance Co. Burn the floor every Saturday for the best nights of dancing in Pittsburgh!!! 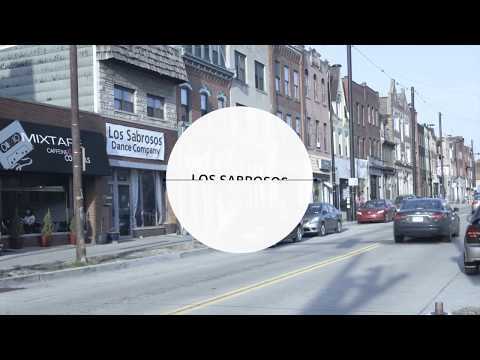 At the juncture of Lawrenceville, Garfield & Friendship neighborhoods! On the same side as Children’s Hospital. Free parking on the street (Penn Ave) and all the neighborhood streets. To reserve a VIP table, call 412-465-0290.